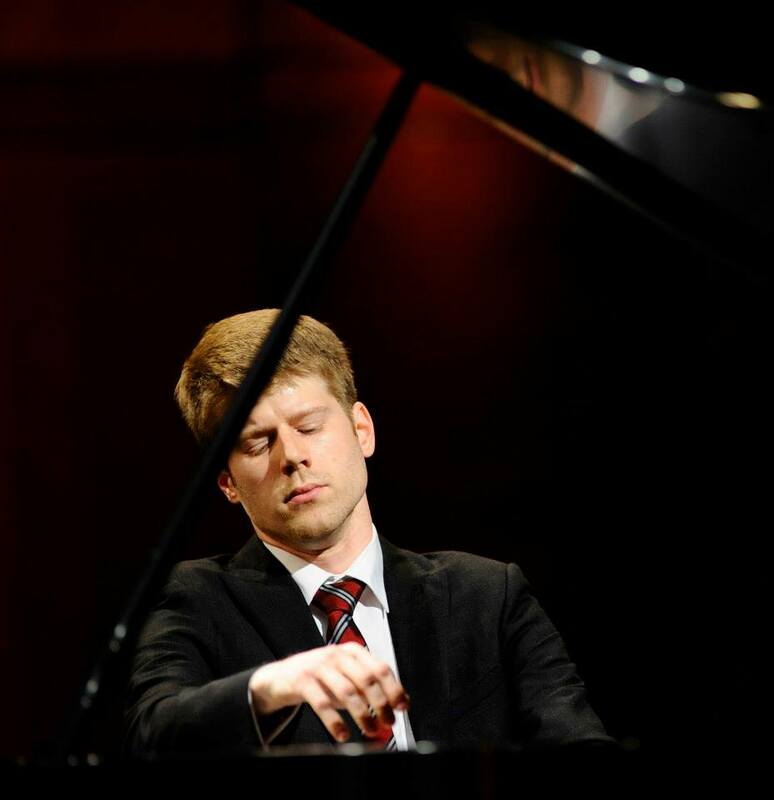 Nick Romeo continues his coverage on From the Top alumni in the Van Cliburn Competition. He managed to track down Alex McDonald at a party following the awards ceremony. Alex, 30, appeared on From the Top Show 9 when he was 17. (Q) What was your experience like the Cliburn? It’s definitely the most nerve-wracking thing I’ve ever done. Even when I was trying out pianos, these silent guys with cameras were shadowing me, so I felt pressure not to make a mistake. At one point I just couldn’t handle it, so I started playing Super Mario on my laptop. It was like From The Top times 30,000. I’m not a career competition pianist. I haven’t done this 50 million times, which was obvious because I always had to go to the bathroom again. I wasn’t used to all of the stress. There’s a competition circuit, and I’m not on it. (Q) What do you think of competitions in general? This was like the hunger games for piano, except no one is dead and my bowels were a lot emptier afterward. The Cliburn is very intense; there are more cameras here than anywhere else. I’m not substantially disappointed. I tell my students that juries mess up all the time, and now I have a great example of that. The more interesting you are, the more you will divide a jury. Just to be clear, I believe the winners are very deserving. But when you rank people, you give them a new name. It gives the impression of even spacing on a scale and the most dangerous thing in the world is for young pianists to internalize that ranking. A ranking is a label, a new name placed on you by experts. I’ve had students who win competitions, and it’s a horrible growth stunter. (Q) You struggled with tendonitis in the past. How have you overcome your injury? It took me six years to recover fully. I wondered about having to change career and maybe go into accounting. Everything I’ve learned about music has come from tendonitis. And many good things in my life have come from it. I met Rachel, my fiancé, at Juilliard. And I went to Juilliard to study with someone who could help with my technique. I had to release my identity as a pianist. If my primary identity is a pianist and I don’t play well, then I’m fighting for my life. If I am a child of God, my identity is not given or destroyed by external things. I’m bummed I didn’t advance beyond the first round, but I’m not destroyed. One drawback of our western culture of individualism is that we have to create our identities. If I think I matter not because of how I play but because of what God has done for me I may be temporarily enslaved by the competition, but God loves me, I’m okay. I shouldn’t try to change. Injury forced me to confront that. It’s humbling. (Q) What do you remember about being on From The Top? I remember joking with Chris. He is a funny guy. I was totally psyched to be on the radio, and I was starstruck by the experience. It was great to play for a national audience. These kinds of things bode well for the future of classical music. It is exactly what needs to happen to engage new audiences. (Q) Did being on the show have a lasting impact on your career? From the Top gave me a vision for how classical music can be made entertaining without compromising standards. Everyone knows From the Top, even non-musicians. It was fantastic exposure at a young age.